A presentation to help individuals, parents and children to navigate the complicated world of online resources. 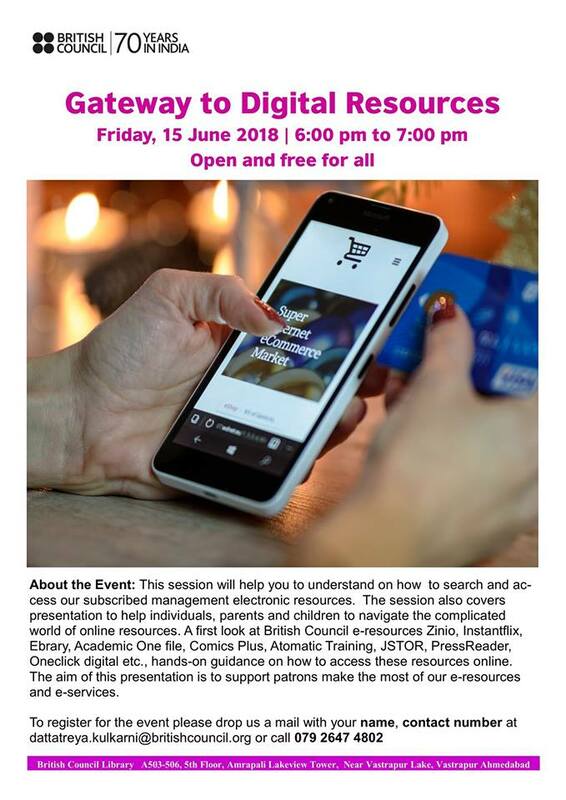 A first look at British Council e-resources Zinio, Instantflix, Ebrary, Academic One file, Comics Plus, Atomatic Training, JSTOR, PressReader, Oneclick digital etc., hands-on guidance on how to access these resources online. The aim of this presentation is to support patrons make the most of our e-resources and e-services.